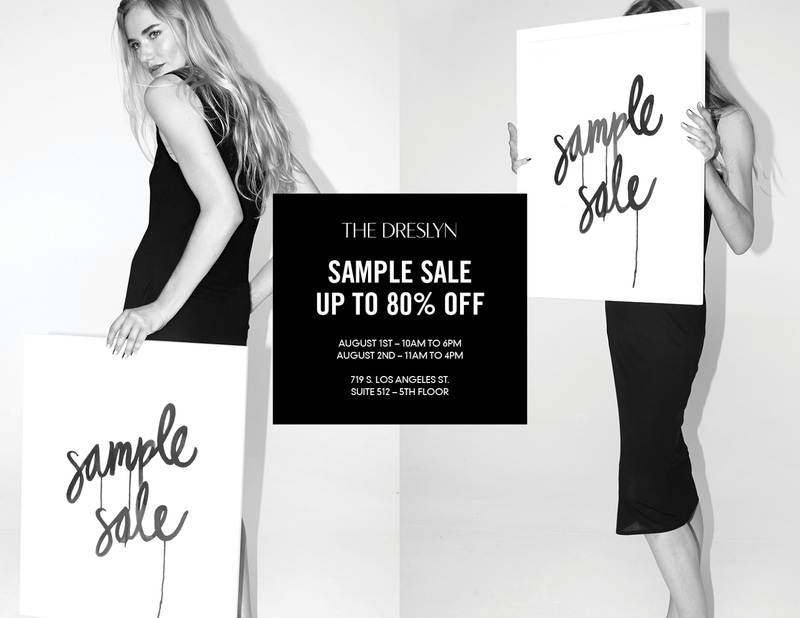 It is my absolute honor to be working with my ultimate favorite luxury e-retailer, The Dreslyn, in presenting their first ever offline sample sale happening Friday August 1st - Saturday August 2nd in Downtown LA! There you will find a highly curated selection of designer pieces from The Dreslyn's Spring '14 and Fall '13 offerings, from brands like Band of Outsiders, Carven, Rachel Comey, Helmut Lang, Sophie Hulme, and other West Coast favorites, for up to 80% off! 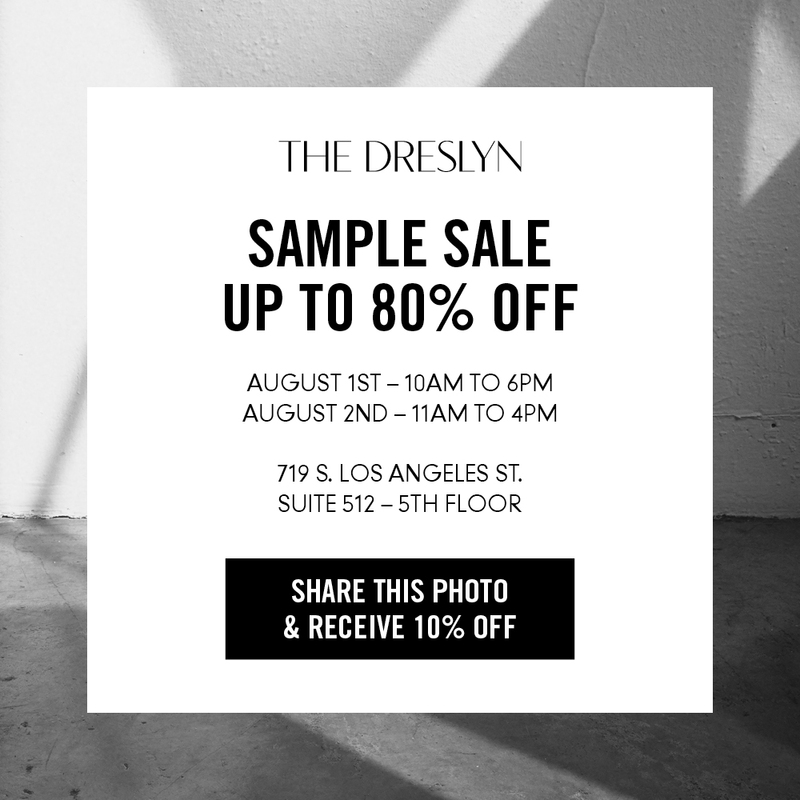 The Dreslyn is also offering an additional 10% off your total purchase by posting the below IG-friendly sample sale flyer on Instagram anytime between now through August 1st! Just remember to add #thedreslyn to the caption. Hope to see you at the sample sale! !